Why we’re not recreation; swimming and the NDIS. Why Autism Swim lessons are not ‘recreation’. Recently, one of our AS-Approved instructors contacted the NDIS concerning the constantly changing guidelines for registering under particular line items. The instructor was effectively told that the line items are restricted to those that relate to recreation. Brilliant! Sounds great! Given the highly therapeutic nature of water, if that’s all we were here to achieve, how easy our jobs would be; and sure, feeling relaxed in the water before beginning any programmatic elements is one paramount component of the work that we do, however simply learning how to relax isn’t going to change the statistic that 90% of deaths for children with ASD is a result of drowning; so here we have a slight (major) oversight. 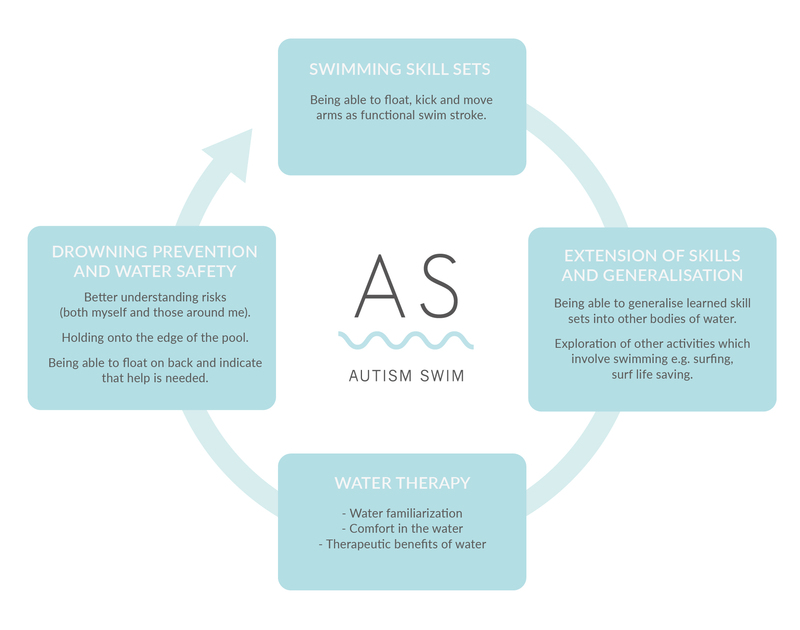 There are many research articles outlining the benefits of swimming for individuals with ASD, including a recent research concluding that swimming increases communication skills in this population group. Feel free to contact us if you require a copy of any of the published research articles on this. So, if there are so many benefits, and so much research to support it, how do you go about obtaining funding in your NDIS plan for swimming lessons/water safety/drowning prevention? Our OT Jarrod introduced a great philosophy recently, “You can compare swimming lessons to driving lessons. Just like driving lessons, you can argue that everyone should pay for the lessons. However, on the other side of the coin, you can say that someone with ASD will require additional training from the instructor, more lessons, and a more comfortable environment”. Focus on drowning prevention and water safety/education, not just the ‘swimming’ components. It is after all, an Aquatics Program that you're looking for, now just learn-to-swim classes. Provide justification for why a group lesson would not be suitable (Your Occupational Therapist or Behaviour Specialist can help with this justification). Let us know how you go and if we can help along the way! How can you make your workplace more ASD-friendly for colleagues?